Substance abuse is defined by the World Health Organization as the harmful use of psychoactive substances. This includes the use of alcohol and illicit drugs that can result in dependency that may result in the negative psychological, cognitive and behavioral responses. A person engaged in substance abuse is likely to manifest a repeated inclination of using illicit substances, while losing control in its use. The adverse effects of substance abuse take varied forms. Health problems, such a compromised immune system, cardiovascular condition, liver damage or liver failure, seizure, strokes, abdominal pain, nausea and vomiting are very common. Compulsive cravings occur after the brain's reward system is hijacked by the prolonged use of drugs with a resulting euphoric sensation that makes a person feel high,� causing him to do harm or injuries to himself or to others, while engaging in maladaptive behaviors. Behavioral problems are also common, such as hallucinations, aggressiveness, paranoia, impulsiveness and the loss of self control. Substance abuse is harmful and it can take a toll not only to the affected individual personally, but also to his family members, social circles, employment and the quality of life that the person can live. Getting help from substance abuse is always available at�many rehab centers�Getting help at the early stage of your addiction is recommended. Getting the right help and treatment, recovery is always possible. If any of your loved ones are experiencing the challenge of overcoming substance abuse, here are 3 helpful tips that can help you fight substance abuse, recover a healthy mind and body, and regain your normal life back again. Recognition of substance abuse is crucial in order to know that you need to get help. Many substance abuse victims fail to obtain an immediate help because they were in denial of their actual situation. Help is numerous for substance abuse victims, however, many of them fail to recognize that they need help thereby depriving themselves from taking the opportunity of using the assistance for substance abuse victims that are available for them. Thus, the first step to liberating yourself against the clutches of substance abuse is to overcome your denial. It is possible that your friends may already notice something different in your behavior and activities. Try to listen on their feedbacks and assess yourself if you have been losing control of your life. There are many people who care about you and are willing to provide assistance, understanding and support, but it is important to recognize that you need their help. Do not hesitate to talk to your loved ones and friends about your substance abuse problems. In this most difficult time in your life, you need people who can help you take the challenge of getting well and overcome the negative effects of substance abuse. To overcome substance abuse is indeed a difficult undertaking, but not impossible to accomplish with the help of others who are going through the similar challenges that you are going through and are determined to win the battle. Being around with support group will maintain sobriety and provides you an encouraging environment to open up and share your thoughts, experiences and difficulties. Being around to empathic individuals who actually understand what you are going through will make you feel safer and determined to overcome the challenges in number. Knowing what triggers your addiction to substance abuse will help you identify future risks that can compel you from going through the same harmful habit forming activities again. Use this as a way of avoiding potential situations that can encourage you to become addicted again. Diverting how you spend your time to more meaningful activities, such as exercising and joining a sports club, is good preventive measures that can help you keep your mind off from substance abuse activities. If you see a dry, scaly skin that is characterized by red patches that look like a raised skin that is itchy, it might be a psoriasis. This condition is a result of the overproduction of the skin cells in response to an abnormal immune system response to certain triggers. Because the skin cells are produced more quickly than normal, which is about two to six days instead of 21 to 28 days, the excess skin cell formation appears as scaly patches on the skin surface. Having the condition can subject the affected individual to potential stigma and social discrimination, making its treatment valuable. Genetic predisposition is known to cause the disease, although which gene can actually be considered the trigger remains unclear. The underlying pathology in psoriasis is the abnormal activity of the immune system in response to the presence of the known triggers of the condition. These triggers may be stress, certain medications, infection and hereditary predisposition. These triggers may directly or indirectly cause the disease, while some may only produce some flare ups of the symptoms. There are different types of psoriasis with difference in its appearance and the area affected. Psoriasis may affect various areas of the body, but the most common body areas involved are the elbow, neck, knees and scalp. Inverse psoriasis � skin folds along the groin, underarms, buttocks and navel. Scalp psoriasis � looks like a flaky dandruffs accompanied by redness on the scalp. Physical assessment of symptoms (swollen fingers or toes, reduced range of motion, fatigue, tenderness, swelling, painful tendons, morning stiffness, and red, itchy, scaly patches). Most of the time, the x-ray is used to rule out arthritis because some of the symptoms of the two diseases may be overlapping, such as tender tendons, inflamed joints and swelling. There are different types of psoriasis, but the treatment approach is usually similar. The treatment goals of psoriasis vary as it depends upon the patient's needs and according to the extent of the severity of their symptoms. Unfortunately, there is no known cure for psoriasis. Treatment usually focuses on relieving the symptoms and improving the quality of life of those affected. There is a significant progress in terms of the medical research that attempt to identify the major cause of the disease in order to find the most appropriate treatment regimen that will cure psoriasis. Because there is no cure for psoriasis, flare ups may occur and the condition may become recurrent. Immediate treatment focuses on relieving the discomforts arising from its symptoms and to prevent the symptoms from progressing. Controlling the symptoms is more important than trying to cure the condition. Knowing the exacerbating factors that trigger the symptoms of psoriasis to flare up is likewise important. Providing an immediate treatment for the symptoms of psoriasis is needed. This can help reduce the risks of complications while trying to ease the discomforts it brings to the affected individual. Topical therapy is commonly used in treating localized skin lesions. Common topical treatment includes corticosteroids, tazarotene, calciproteine and coal tar products. Emollients used to be given as a treatment for psoriasis, but are not rarely used because of its known side effects producing inflammation and skin irritation to the affected area. Generalized psoriasis, one affecting a larger part of the body, will often require oral medication to obtain relief. Other alternative forms of treatment include ultraviolet light therapy. Tanning bed light treatment or a natural sunlight exposure is often considered as a treatment where the affected skin is exposed to the light, while the unaffected areas are covered for protection. The heat is introduced to the affected area as tolerated. Ultraviolet treatment belongs to this form of a therapy that is important in preventing flare ups of symptoms. There are a number of natural ways of treating psoriasis. Keeping the skin against drying is an important step. Applying a moisturizer can help combat the symptoms of a dry, flaky skin and in keeping the skin supple to prevent plaque formation. Avoid scented soaps and personal hygiene products. They can trigger flare ups that can worsen the symptoms. Eat foods which nutritions are known to help combat the disease like nuts, cranberries, chocolates and soy. Applying olive oil along the affected skin surface can help lock in the moisture to relieve dryness and flaking. Give yourself a warm bath with some Epson salt, milk, olive or mineral oil can make a difference in relieving itchiness. One of the most common diseases with old age is Alzheimer. It is a progressive and irreversible disease affecting the brain with resulting memory loss and poor thinking skills. It is estimated to affect one in every 10 people who are in their 60's. The treatment for Alzheimer is merely to manage its symptoms, but there is no cure for the disease. Among the most serious symptoms of the condition are the lack of judgment, poor thinking skills and memory loss. While the symptoms may vary, memory loss is the most classic symptom of the disease. A research finding, however, recently offered a more promising way of managing memory loss among the Alzheimer's disease patients. It appears that older people with poor memory can benefit from getting booze of alcohol to improve their memory retention. Alzheimer's disease is considered to be a common form of dementia, which is a condition characterized by the loss of cognitive function. Alzheimer's disease manifest the usual signs of dementia, such as difficulty in remembering, poor reasoning, and some behavioral activities that can affect the quality of life of those affected by the disease. In its mildest form, Alzheimer allows the individual to be functional in their activities of daily living, but in its severe stage the individual becomes highly dependent on others to perform their tasks and activities. Alzheimer's disease symptoms that are causing the person to become forgetful can be dangerous. Older individuals with a poor memory and cognitive dysfunction may become lost outdoor because they cannot remember where they live, what their name is and even do not know the people they used to know, even the members of their family. The recent publication of the American Journal of Alzheimer's Disease revealed that moderate consumption of alcohol can offer a solution in helping boost the memory of individuals with Alzheimer's disease. In a clinical research, conducted through the joint efforts of the researchers of the University of Kentucky, University of Texas Medical Branch and University of Maryland, they found out that alcohol consumption can increase the brain's ability to remember or to recall past events in individuals who are 60 years and older without dementia. The study revealed that a part of the brain region called the hippocampus that is associated to perform a critical role in episodic memory becomes more highly functional in terms of episodic memory performance. Individuals drinking moderate alcohol were found to have a larger hippocampal brain volume that helps with memory retention and functioning. It is believed that the process of introducing alcohol to the brain helps in the generation of newer nerve cells that optimizes the memory activity and performance of the brain. As a result, this helps the brain improve its ability to release chemicals that are responsible for more efficient cognitive processing and function. The excessive intake of alcohol, however, is known to be destructive to the brain function. Researchers emphasize that the alcohol consumption, in order to produce a boost in memory performance, should be only moderately taken by those with Alzheimer's disease. The specific location of the neuropathological changes involved in the poor memory function in Alzheimer's disease has not been clearly defined. Medication therapy remains to be the gold standard in keeping those affected mentally active and healthy. The drugs activate the neurotransmitters or chemicals that help transmit information from one neuron to another for more effective thinking ability, memory performance and positive behavioral activities. Alcohol consumption can be taken as a supplement source to boost the memory of individuals with Alzheimer's disease. This can help reduce their symptoms of memory loss and poor cognitive ability. Discipline and inner peace are among the important things that can help you develop a healthy life to live and can help measure your success in life. There are many secrets about living healthy mentally, physically and spiritually and when all the energies around you are well balanced, you will find success as forthcoming. Unlocking your inner peace is one way of harmonizing the things around you. Living healthy inside and out are essential factors that give you longevity to live with better opportunities of attaining success and achieve what you aim for in life. Searching for your life goals should include living with a healthy physical and mental state that will keep you going. Here are the key secrets to living a healthy life and becoming successful at that. Every individual has his own source of stress and respond to it in different ways. It is important to understand what causes your stress in order to know how you can manage them effectively. Stresses in life come in different forms and they are barriers in your ability to focus your energy to something more valuable and important to your life's success. Stress can cause havoc to your inner peace and it can bring your body's physiological functions in awry. By learning to recognize the signs of stress at the first instance, you will be able to observe better countermeasures of relieving them. Doing meditation, yoga and exercising regularly are effective ways of combating stress and allowing you to balance your everyday life and focus on how to become successful in all your endeavors. The food you eat also play an important role in giving you a well balanced state of mind and health. Food sources deliver nutrients that your body needs to become healthy. It brings you energy and rejuvenates the brain for better decision making process that can lead you to success. The failure of feeding the body right can result with adverse effects. Alcohol consumption, drug abuse and unhealthy diet will lead you to a wasted condition and misfortunes that will prevent you from attaining your goals in life. Choose to eat healthier foods that are rich in antioxidant and with fewer calories. This will help you fight diseases that can make you fragile and incompetent in achieving your goals. A healthy, balanced diet will be essential in your pursuit to a successful and vibrant life ahead of you. At every twist and turn in life come success and failure. What you need is to embrace the value of positivity that can help you focus your energy on what matters at the moment and what you can do in optimizing what you have now for improvement. It is important to find your purpose and determine how you can pursue the same. Your purpose will define your approach in decision making, and will help you determine the source of your energy and strengths. As you progress to achieve your goals, you need not let the negative events that happened along the way linger any longer. It will only slow you down and prevent you from appreciating the resources and strengths that you still have. Use every mistake as a lesson that will teach you to become smarter and wiser. The sense of positive views that you embrace in your life will bring you a better vision to live a healthier, longer and successful life. The brain is actually powerful enough to overcome every mental stress imposed upon it. Most of the time, it only needs you to learn the techniques in order to unlock its mental stress controlling powers to become effective. Stress is actually not a bad thing. It is triggered only when you are burning yourself out to its breaking point and your body has to tell you to stop and give it a rest. Whenever you experience feeling tired, exhausted or on the verge of breaking down mentally and physically, you can use the brain's ability to overcome it to relieve stress. Here are some of the brain cheats steps to help you overcome mental stress to live healthier and stress free. The body usually responds to stress on a flight or fight state. Individuals respond to stress uniquely and differently and it is essential to understand yours. Stress will bring your body and mind in full alert, with resulting increase in blood pressure and heart beat. Your muscles will be stiffer and will likely drain out your energy. This will make you feel agitated, angry and impatient. On the other hand, stress can also take a different effect to you. It can dampen your mood, make you feel depressed and withdrawn. If you tend to become overexcited as stress response, you need to calm your brain and engage in activities that will calm and quiet you down. If your stress response results in a hypoactive state, your brain needs more stimulating activities to help you energize against stress. Whenever you are in a low state of mind due to stress, you need to re-energize your brain again. Exercising is a good way of activating your nervous systems and physiologic activities that will restore your brain activity. Jogging, dancing, lifting weights and doing things that will increase your cardiovascular activity will certainly give your brain a boost of energy. Sweating will help your body release metabolic wastes and toxins that tend to increase your stress level. Music is more than just an entertainment tool; it is also a powerful mental booster that gives the brain the ability to relax and cope with stress. As the brain absorbs music, it allows us to mentally absorb a stress free state that gives us the chance to explore our emotions and a relaxed mind. It distracts the brain from focusing on the negativities and mental blocks the stressful events in the body to focus more on soothing the mind in a relaxed state. Classical music is known to slow down the heart rate, decreases the blood pressure level and tones down the physiological activities of the body. On the other hand, if you feel that stress brings you down to a low mood state, you can choose to listen to upbeat songs to bring your brain back to an active state to overcome low mood swings. Meditation has been very popular in overcoming stress, anxiety and pain. Due to an active lifestyle, the brain may sometimes take off course and becomes subject to a lot of stress with resulting destructive thoughts that further increase your stress level. Mindfulness meditation will give your brain a break from these distractions and destructive mental activities and boosts its problem solving ability once it was able to recharge its energy and power of control after attaining a state of peaceful mind with meditation. Getting a headache is very common, although most of them are caused by stress and fatigue and are relieved with rest. However, a simple headache may become more bothersome and it may take longer to subside. Whenever the headache becomes more intense, pulsating or throbbing, you might have more than a headache. It could be a migraine that can become disabling when not treated immediately. About 90% of the world population may experience migraine and some form of a headache. 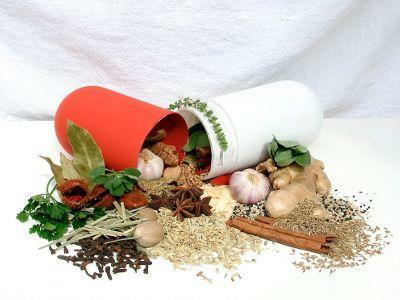 While there are many medications available for treatment, using the traditional approach remains popular and effective. There are natural remedies for headache, such herbs and they can do some miracles in relieving headache without the need of buying costly medicines or worrying about side effects. This herb is known to be effective against migraine, as published by the Headache Journal. It is a natural cure for episodes of migraine with the ability to prevent the swelling of the blood vessels and relieving the pressure that causes the intense throbbing pain. The plant extract of butterbur is taken as a supplement in the form of a capsule or a tablet. It is always best to consult your doctor before taking the herb as it might interact with the other medications you are taking, if there is any. The herb can produce similar effects as aspirin. Its extracts are known to provide significant relief against tension headache. The willow bark contains salicin, which has an anti-inflammatory property that plays an important role in reducing headache. The research of the University of Maryland Medical Center showed that willow bark is an effective herb in headache management without causing any gastrointestinal side effects that other herbs and aspirin sometimes produce. Peppermint is an herb that is widely used in making essential oils with medicinal value. The menthol content in the herb is effective in controlling headache and migraine pain, while managing the symptoms of nausea that typically accompany bouts of headache. Peppermint is more commonly used in topical form, rubbing it on the temple. One of the popular herbal remedies for headache is ginger, which is known to be effective in treating tension headaches, including other pains that are associated with headache. It has an anti-inflammatory property that works effectively in reducing the pain and tension caused by headache and migraine. It also has an anti-viral, anti-fungal, and anti-bacterial components that make it a flexible herb for treating other conditions at the same time. Ginger can improve the blood flow to the brain, allowing more oxygen to become available, thereby relieving the headache and promoting mental alertness. Ginger powder is usually made available in capsules or tablets and is likened to sumatriptan, which is a medication for migraine, but with less side effects. Ginger, however, can adversely interact with blood thinners, so it is safer to talk to your doctor about your plan of taking the herb for headache. Caffeine is found to be more effective when combined with 1000 mg of paracetamol in producing better relief from headache, as reported by the Journal of Headache and Pain. Although more studies are required to get a better perspective about how caffeine can relieve headache, many migraine sufferers reported positive effects. It is worth noting about the danger of caffeine withdrawal syndrome, and it in itself can also trigger the symptoms of headache. Taking caffeine in moderated amount is, however, safe. This herb is more valuable as a prophylactic measure against headache. It can help relieve headache by reducing its frequency. Some reported their headache never recur. If losing weight is your ultimate objective in order to get flatter and leaner abs, you will certainly need to choose the right kind of food to eat and you need to exercise a lot. There is no such thing as a crash course dieting that will allow you to lose fat instantly. If you have been trying to burn out fats to get rid of your flabby belly, you need more than exercising. It is essential to include in your weight loss regimen a healthy meal plan that will make it easier for you to burn out calories to give you leaner muscles and a flatter abdominal area. Being sensible about what you eat can deliver you a desirous belly. Flat, lean and fat free abs can be achieved by knowing what foods you should eat and what to avoid. These healthy meals and food products will help you become proud of getting sleeker and a leaner midsection that you never thought you could possibly have. The trick of getting a flatter belly is to keep your metabolism working. A protein snack will keep your blood sugar level in a balanced state and will rev up your metabolism to keep burning calories. Keeping your insulin at bay after meals is essential because the lower your insulin, the more the body will tend to keep fat stores in your mid-section. Eating in between meals is helpful in keeping the insulin level to be even and a protein snack is good for building muscles instead of fat. Nuts can be a versatile ingredient to your meal plan and you can always give your food servings some healthy boost for building muscle on your belly. Cashews and almonds are great at giving you a supply of protein, fibers and fats without the extra calories building on your waistline and belly. They can be an excellent snack to take in between meals, too. They can be a healthy addition to your recipe or may be served as toppings. Almonds are high in antioxidants, vitamin E and magnesium. Lean meats are excellent in providing the body with protein and low carbohydrates. You cannot do without a meat of your meal plan, unless you are a vegetarian, as it offers the body a good source of zinc, magnesium and iron. It is best to buy choice cuts that have no visible fat. Try to cut down oil from your meal recipe. Skinless poultry is also a good source of protein. The white meats from the chicken and turkey are healthier and leaner. It contains only 10 grams of fat in every service of 3 ounces. You can boil, grill or bake the meat for a healthier meal. Green, leafy vegetables has unbeatable low calorie content that can help trim down your waistline. They can satisfy your body's daily fiber requirements, even in small amounts of servings. A spinach only has 40 calories, while you only get 55 calories from a cup of broccoli. This will give your body enough supply of calories for energy stores without causing you to build fat on your belly. It also provides the body with enough iron that will keep your circulation going, especially when trying to exercise to build more muscles and burn fats faster. While a nail fungal infection may not be a usual priority for you, getting a chronic infection will certainly prompt you to search for treatment. Nail fungus is very common, although it rarely causes pain unless it becomes progressively more severe. In many instances, however, the condition will result to the discoloration of the nails, and in the long term will cause the nail to crack until it breaks. As the nail becomes thick and highly fragile to breakage, the condition might cause some pain. 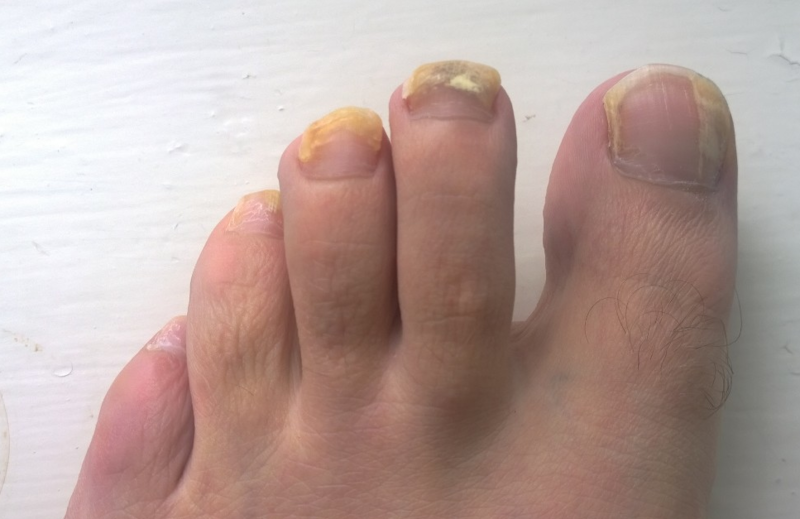 The fungal infection commonly attacks the toenail more than the fingernails and you need not wait to make your nails to become a breeding ground for the fungus. Keeping your nails healthy will help prevent having to deal with the condition in the first place. A nail fungus is highly contagious and its prevalence affects at least 14% of the total population. The condition is more manageable with prevention than treatment because the condition can be highly resistant to medications and treatment. The chance of recurrence or re-infection is also high, and the treatment is long that may take months, depending on the severity of your infection. While anyone may possibly get infected, some people have a higher risk or susceptibility to getting the infection than others. Individuals with diabetes, weak immune system, poor blood circulation, athlete's foot, and had a nail surgery have a higher chance of getting nail fungus. The fungus can easily attach to your nails and you can prevent spreading the infection or getting one yourself by observing proper hygiene and frequent washing. Make sure to wash with soap and make the washing as thorough as possible, reaching between the toes. Keep the nails dry. Short nails tend to discourage fungal growth than longer nails. Fungus can easily breed under the nails and does not easily wash out by simply running a water, unless you have to rub and reach under the nails for cleaning. It is best to have your own clippers instead of sharing with others. Fungus thrives in a warm and moist environment. Wearing a pair of shoe that is not breathable enough will certainly encourage the nail fungus. It is best to alternate wearing a closed shoe to a more open one or with breathable materials. Old shoes can also encourage a re-infection so you might want to change shoes more often and washing them frequently. There are also anti-fungal sprays that you can use on your shoes. If you have to wear a pair of gloves, you might as well choose those made from rubbers to avoid keeping your hands damp and moist. Frequently wash the rubber gloves and make sure to turn them inside and out when not in use. You can easily come in contact with the fungus in damp and moist places, such as in shower rooms and lockers. You should protect your toe nails from this risk by wearing slippers or shoes at all times and avoid being barefooted. Fungal growth may even present in your own home and shower room. Protect yourself against nail fungus by regularly cleaning the bathrooms and moist areas in your home and use disinfectants to obtain better results. Foot pain is a common symptom that everyone will experience sometime in their life. We always use our feet every day in performing our daily routine and it is one of the body parts that are prone to wear and tear. The foot consists of structures made up of bones, muscles, tendons and ligaments, which are the usual source of pain. Because the foot is the foundation of our bodily movement, serving as a supportive structure, it is most likely to carry the weight of our body, and provides support to the lower extremities. It is not surprising that our feet will be aching and tired at the end of the day and in worse conditions become painful enough that can result in debilitating condition. Pain is a normal process that indicates something is wrong with the foot structures. Foot pain may be caused by several factors that include biomechanical changes, the presence of a disease, improper footwear, and stressful lower extremity activities as among many others. Relieving pain is an important concern because of its impact in affecting the rest of the body. The pain is sometimes acute, but in some cases may result in a chronic condition. Getting the right diagnosis on what may be causing your foot pain is essential in order to get the proper treatment. While you are trying to figure out what might be causing your foot pain and making plans of seeing your doctor, these tips can help in giving you quick relief from foot pain. Getting a massage will provide you soothing relief from stress and pain. For many cultures and centuries, massage has been a traditional way of giving relief to an aching and tired muscles. The massage strokes applied to the feet will increase the blood flow to your lower extremities. Pressing on the muscles, tendons and ligaments will also relieve tightness and stretching is very helpful in relaxing tight foot muscles. A regular foot massage is effective in combating foot fatigue and in helping rejuvenate the muscles and enhances the feet's blood flow instantly. You will be surprised how changing your footwear can provide you quick relief from pain, soreness and aches. Many of us are taking the quality of footwear that we use for granted. Wearing comfortable shoes with supportive features can help improve the feet's balance and supports its mechanical structures for optimized movement. Understand your feet's needs. You might need arch support, inserts or insoles. Corrective shoes can provide you significant relief from pain. Foot soak has been very effective in providing quick relief to an aching and painful foot muscle. The simple way of relieving stress to your feet is to soak it in a tub with a warm water. The effect of warm water is delightful, allowing your muscles to relax and eliminate stiffness. Adding some Epsom salt will further help in soothing the aches and pain as it can help flush out toxins, while reducing the inflamed tissues and enhancing the blood circulation to your feet. Essential oils mixed with the warm water can also produce soothing and relaxing effect that gives pain relief to your feet. Elevating the leg is very helpful in eliminating the pull of gravity that can increase the swelling or fluid distention to your tired feet. Imposing too much stress on your feet, such as during long standing or long distance walk can make your feet sore and aching. Elevating the leg is a good way of loading of the stress to it and you can enhance the blood flow by doing some ankle pumping activities and foot movements. If you suddenly noticed that your eyes show some tiny spots or flecks that appear as cobwebs, you probably have eye floaters. The floater is formed from the vitreous in the eye that breaks loose and migrates from the inner back portion of the eye to become more visible in front. You can see that the vitreous gel will aimlessly drift in the eye, but will not cause you any significant discomfort or concern. The floater is round shaped, in certain cases, may appear branched, thick or thin. It is more visible with a better lighting condition and appears darker than the color of the background. The vitreous humor of the eye usually starts to deteriorate with aging. Its normal state is altered, causing the symptoms of the eye floaters as the vitreous jelly begins to liquefy, causing some pockets of the liquid left lying inside the firmer vitreous gel. This occurrence commonly occurs in the 50's which is the population commonly affected by eye floaters. Eye floaters are rare among children and teenagers. Seeing floaters or spots is a normal occurrence, but when it is accompanied by a flashing light, it is a sign that should prompt you to seek medical attention. When you experience this symptom, it is likely that there is a danger of detachment of the retina when the vitreous spot tries to pull away from it. The chance of a retinal tear is 50% with a subsequent detachment occurring with it. It is crucial to obtain an immediate medical attention to take a preventive course of action and to re-attach the retina whenever necessary before loss of vision becomes permanent. You can assess your risk of getting eye floaters, although in many instances they can occur anytime. Aging is an indispensable risk factor of getting the condition. An eye injury may also cause the vitreous fluid to detach from the retina without necessarily causing injury to the retina itself. The state of a disease can also encourage eye floaters to occur, such as retinal pathology. It may be present in case of a diabetic retinopathy and nearsightedness. The vitreous gel may also be detached during an eye surgery when removing a cataract. Inflammatory diseases of the eyes, such as acute retinal necrosis can also cause eye floaters to occur. Not all eyes floaters need treatment. They can be annoying sometimes, but it is rare that they become visible bothersome. If they are not sourced from a disease or other medical condition, they do not need treatment or intervention. However, rare cases of blurred vision can occur with eye floaters especially when they grow in numbers and size that they can affect vision. Most of the cases of eye floaters are the natural course of aging, but it is always best to consult your symptoms to an ophthalmologist to ensure that you rule out other possible medical causes. Diagnosing eye floaters are usually performed by an ocular inspection. The basis of diagnosis is taken from the patient medical history and a physical examination of the eye. A slit lamp is used to examine the eyes and the pupils are dilated using an eye solution. Most of the eye floaters rarely need treatment, but when they do, there are medications available for treatment with the last option being laser or surgical procedure.